Every lad needs a good leather belt. 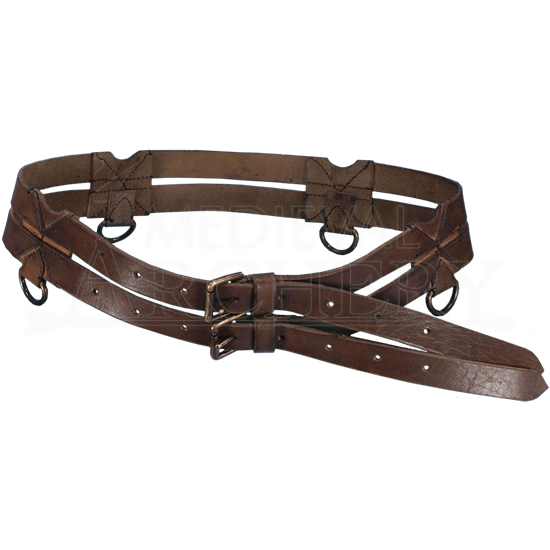 This belt is a great accent to any outfit, for any character, in any period from medieval to renaissance. 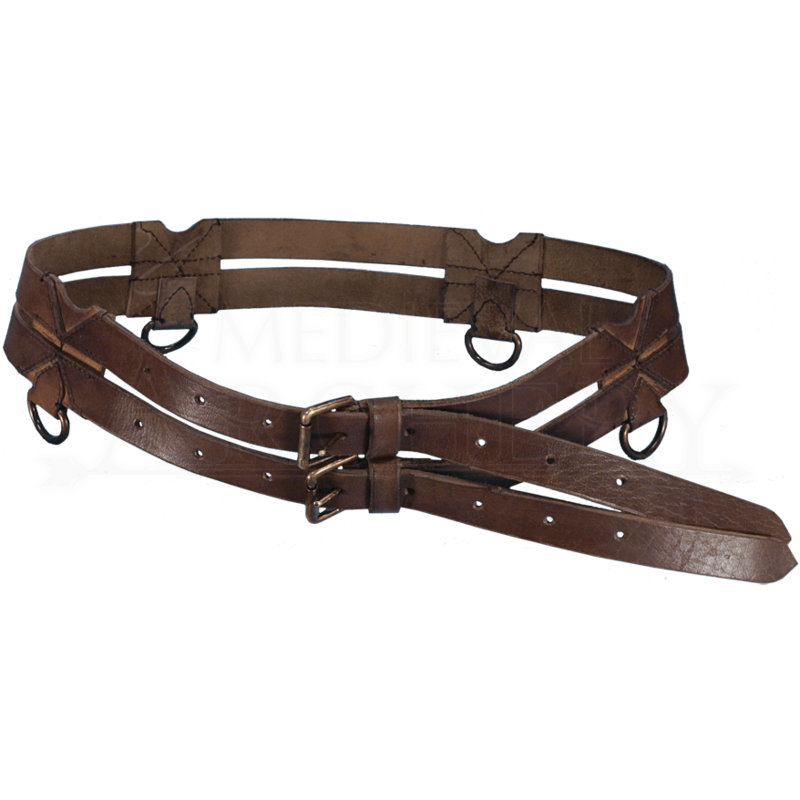 It is great for hanging your sword frogs, tankard straps, or pouches from. Our Twin Belt is made of two smaller belts that attach in four points along the length of the belt. Each connecting point features a D-ring, which allows you to hang or clip accessories such as tankard straps, dungeon keys, or pouches. Brass buckles and nine punch holes allow you to adjust the Leather Twin Belt to your fit. Please be aware that measurements can vary slightly, as these are hand-made items.